what can copper peptides do for your skin? My main concerns are swollen puffy eyes and dry dull, dehydrated skin all over my face. I have also tried so many creams on the market today Este Lauder and La prary not quite sure how that is spelled)…. I’m 45 and get confused because I never know if I should be using a skin care products for anti-aging or for lines and dehydrated skin or both! If there is such a product…..
Also, I would like to try this cream mentioned on your page with copper something in it. What would you recommend? Yes, it’s very confusing navigating the skincare field. Everyone says their cream is the best….but I think what really matters is matching a product to what your skin needs. In your case, I would look for products that address dehydrated skin. At your age, if you see wrinkles and lines and you feel that your skin is dry – it’s most likely that the dryness is causing the wrinkles. But, first, see if you can pin point why your skin is so dehydrated. Are you using harsh soaps or alcohol based toners? A pH balanced cleanser like Cetaphil is a good choice. And, if you use it with a wash cloth (for extra exfoliation) you can really get your skin clean without over-stripping or destroying the acid mantel. Also, once a week or so, consider mixing up your own exfoliating scrub to eliminate dead, pore clogging skin cells. This will allow your moisturizers to penetrate better and really help perk-up dull, dry skin. water (or Cetaphil) and if your skin is really dry try adding a few drops of olive oil. Mix it all together until you get a gritty like paste. Then lightly massage it all over your face and neck and rinse off. Follow with a moisturizer. You’ll love the way your skin feels. For a moisturizer (for face and eyes) I like copper peptides. Copper peptides have anti-aging effects so it’s good for long term use and they also help the skin hold moisturizer longer – which is something that aging skin loses. 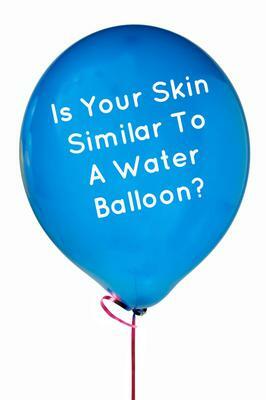 The ability to hold moisture is why younger skin looks bouncy and plump. Nu Glow MD3 Copper Peptides makes a variety of copper peptide creams and serums. Some for just the eye area and others for the face. You might want to visit their site and see what you think. La Prairie is supposed to be very good, so is Laura Mercer. But they are over-priced - considering there’s nothing in them that makes them so special. I like to use ingredients that are based on science without the hype. I know dermatologist and plastic surgeons use copper peptides for their post-surgical patients because peptides have the ability to help heal. So, I figure why not just use pure peptides for my skin? Finally, I love lactic acid as it seems to hydrate my skin more than glycolic acids. Look for moisturizers that have lactic acid in them and see if they work for you. Oh, and for your puffy eyes…..I absolutely love the Easy Eye Solution Eye Tuck Serum. I won’t leave the house without it. It’s my go to serum when I tired or have allergies….anytime my eyes look tired I can count on this to perk them up. And best of all…it’s not drying at all.